Learn to train yourself to be more grateful with the life you have. Take this easy and fun 30 day gratitude challenge packed with fun ways to change your life and the lives of others. 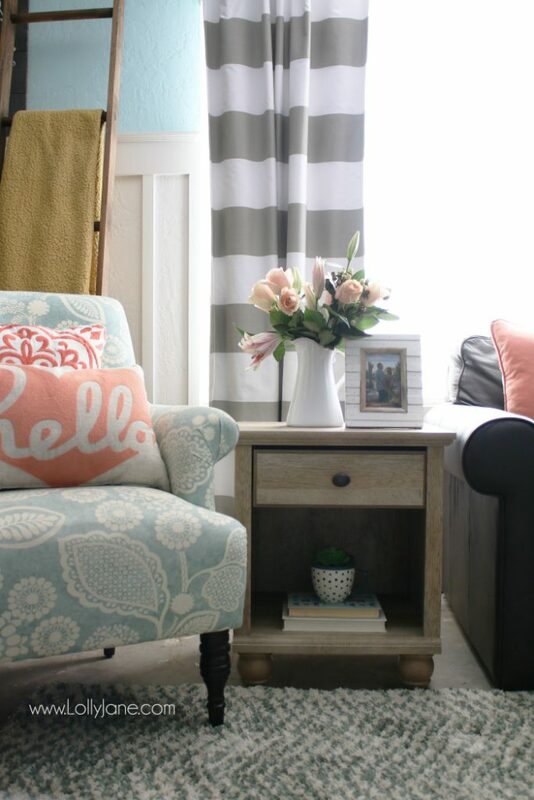 When Homes.com shared the results asking more than 1600 people what part of their home they were most thankful for, we starting thinking about our own homes and lives. We realize we need to be more grateful for our small everyday miracles: running water, fingers that move when we want, food in the fridge, healthy immune systems, pocket change to grab a fresh fountain Diet Coke, things we take for granted every day. 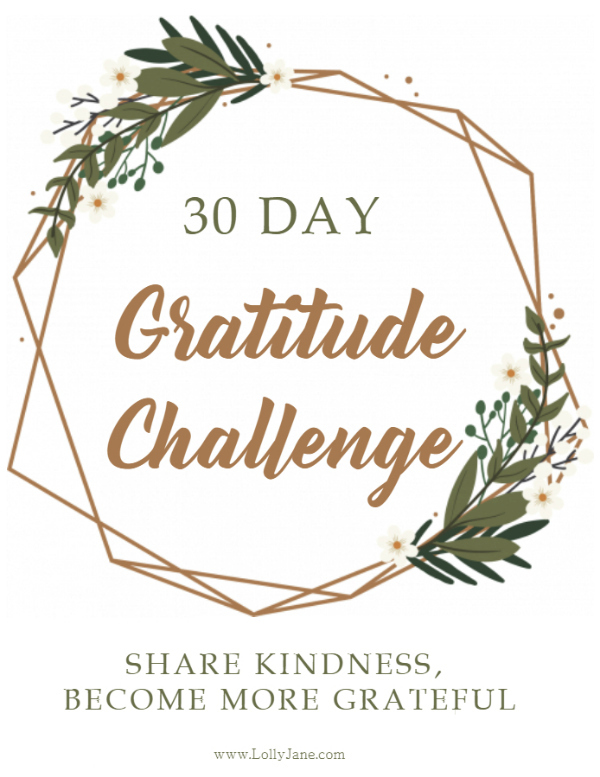 And since it’s the season of being grateful, what better time than to create a 30 Day Gratitude Challenge to help us all appreciate the small things in life and not focus on just the material things. We had a great discussion at church this weekend about serving others and being grateful. 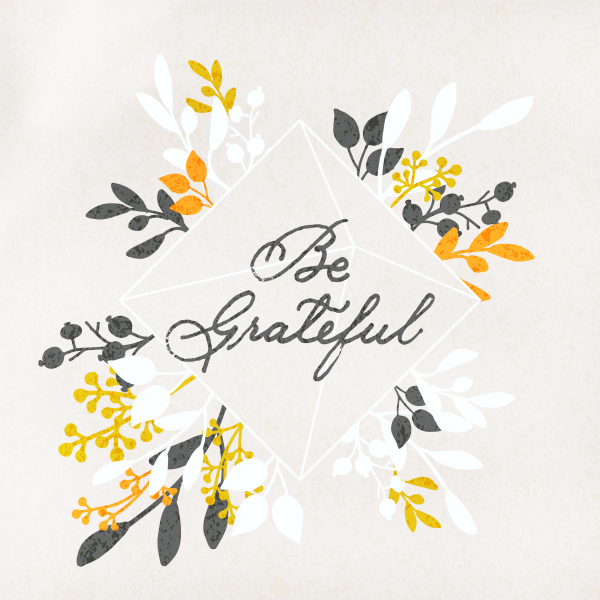 One of my friend’s shared that her and her family wrote down one thing at the end of every day that they were grateful for, something that had happened that day. Her young adult daughter moved out and left behind her journal which brought my friend, a loving mother, to tears when she went back and read so many things her daughter had jotted down over the years. What a small gesture to write down a quick blessing but by doing that day by day, it got her children in the habit of looking for things to be grateful for. Our parents raised us with a huge emphasis on serving others. Our dad was always pulling over to help a stranger whose car broke down and our mom still invites strangers to dinner. Because we’ve seen their example over and over, we love to participate in Random Acts of Kindness. Our older sister Sandee is known to pay for the car behind her every time she drives through a certain Taco Bell. It may seem silly but her kids look forward to it. When we copy her idea, my own kids giggle and crane their necks to get a glimpse of the reaction of the car behind us, if possible. These are small gestures that go far and we’ve got a lot more to share. We’ve gathered 30 easy random acts of kindness, 30 simple ways to show gratitude this season. Start a journal, list blessings daily. Donate things you don’t use anymore. 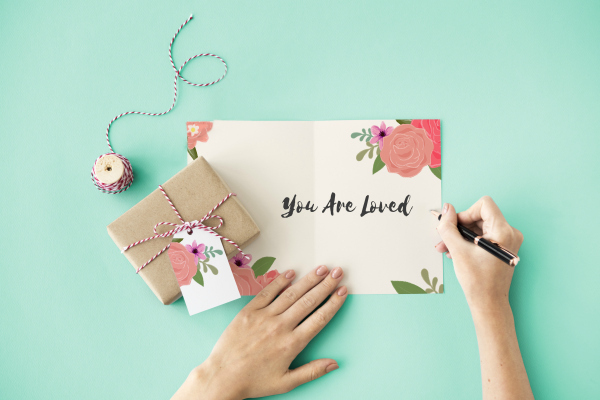 Tell your loved ones why you love them specifically. Take a treat to a neighbor. List 5 things you love about yourself. Thank a police officer/fire fighter/veteran. Buy a meal for someone behind you in the drive through. Take canned goods to the food bank. Make something for someone in your family. Drop notes of encouragement on cars in parking lot. 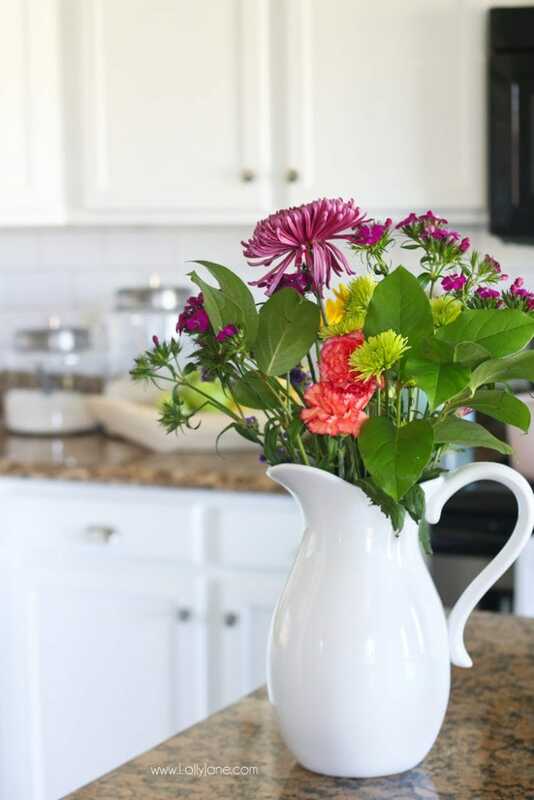 Send flowers to your parents/grandparents. When you run errands, ask a friend to pick something up for them. Spend the day only saying nice things. Write kind words on rocks and leave them at the park. Tell your family what you’re thankful for about them. Leave more of your suggestions to add to our list below in the comments! And please pin so your friend’s can gain an attitude of gratitude in their own lives. We hope you’ve been inspired to do something nice for yourself, your family, your friends and even your community. Just for fun, check out the infographic from Homes.com survey results. Do your own responses match up?